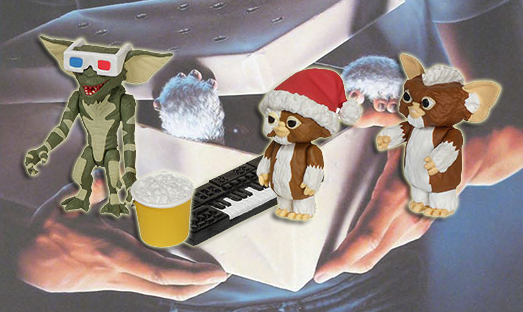 Part cuddly, part creepy -- the Gremlins became an instant piece of '80s pop culture from the moment they hit the screen. 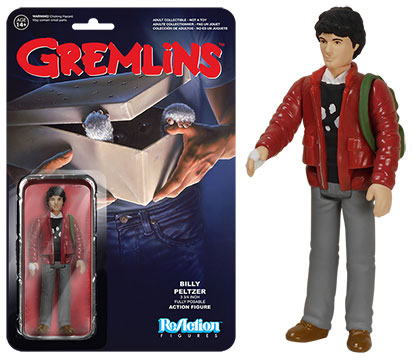 More than three decades later, they get the retro toy treatment with a line of 2015 Funko Gremlins ReAction figures. In total there are seven different figures to collect. 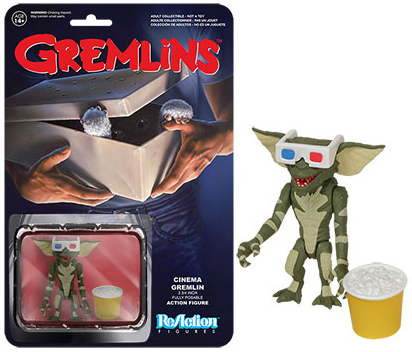 All are done with throwback designs that are intentionally lacking in articulation and lots of the detail that has come with other recent lines of Gremlins collectibles. 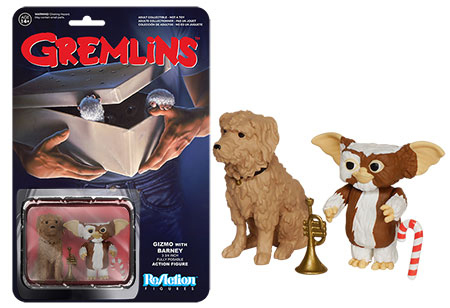 All but one of the Funko Gremlins ReAction figures is of one of the titular creatures or their Mogwai counterpart. As a result, they're smaller than most of the other figures from the Funko brand. 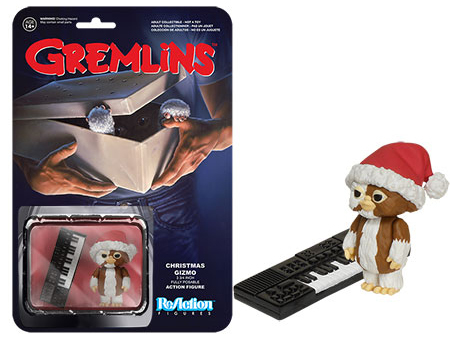 That said, most of the Gremlins and Mogwai come with some sizable accessories to add a little something to the package. For example, one of the Gizmos is packed with Barney, Billy's pet dog. The other has a large keyboard. 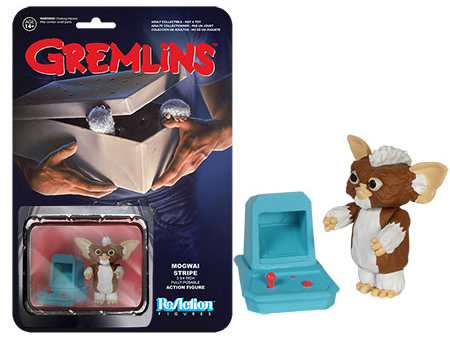 Mogwai Stripe is the most '80s of them all, coming with one of the iconic portable arcade games. 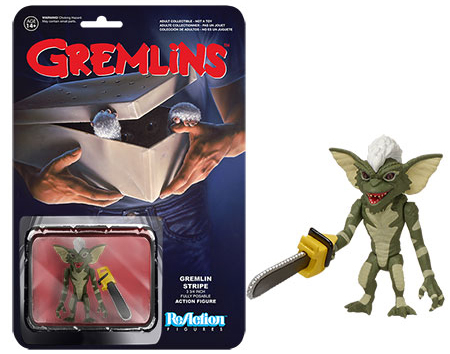 All of the Funko Gremlins ReAction figures come packaged with the iconic poster art. 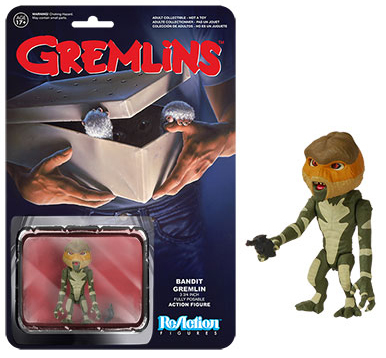 GREMLINS 3.75" REACTION "BILLY PELTZER" FIGURE FUNKO -CASE FRESH -FREE S H! Gremlins Stripe W Chainsaw ReAction Figure RARE Super 7 Unpunched!